Are you ready for this year’s H-1B Cap? It is that time of year again…the season for H-1B filings. We are encouraging those who are interested in applying to contact our office immediately for a free consultation. Last year the U.S. Citizenship & Immigration Services (USCIS) received over 124,000 H-1B visa petitions. 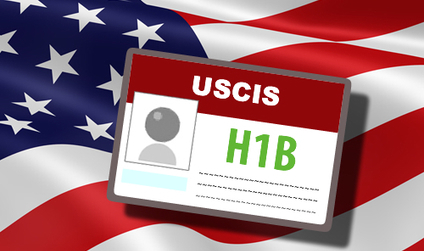 The USCIS will begin accepting H-1B petitions on April 1, 2015. Depending on the amount of applicants received by immigration, this will determine the length of the filing period. In the past, the filing period has been only seven days between April 1st to April 7th. Petitions which are accepted into the H-1B lottery and approved under this year’s cap will be able to begin work as early as October 1, 2015. Every year, the U.S. Citizenship and Immigration Services (USCIS) receives an extraordinarily high number of H-1B petitions and is required to run a computer generated H-1B lottery. Those selected for processing will be receipted by U.S. Department of Homeland Security (USDHS) and fees taken. Those whose numbers are not selected will receive their petition back along with the USDHS government filing fees. Our immigration law firm in Orange County has helped a variety of employers and their employees obtain H-1B visas under the Cap. Global Law Centers specializes in employment immigration and has extensive experience service as an Orange County immigration lawyer. The H-1B program has a regular, or base, cap of 65,000, with another 20,000 visas for those who earned a U.S. master’s degree or higher. In past years caps were met within a week to two weeks time. As you can well imagine with only 65,000 numbers available and over 124,000 applicants it is vital that you are timely submitting your petition. There has been a consistent high demand for H-1B visas in tech hiring. Nearly 60% of all H-1B petitions approved go to people in computer-related occupations. With advancements in modern technology including the high volume of android, iphones, tablets, and cloud technology it is no surprise that the majority of H-1B petitions are used towards computer-related occupations. An even greater part of the H-1B visas in the computer-related occupations will go to large companies like Microsoft, Google, and Apple. While the majority of types of professions receiving H-1B visas include physicians, pharmacist, physical therapists, occupational therapists, speech language pathologists, teachers, lawyers, engineers, and professors, accountants, and other professions requiring degrees or licensure. For international students graduating from local universities the H-1B cap plays an important role in their future career options. We encourage those who are interested in remaining in the U.S. after they earn their degree to contact our office for more information about H-1B visas. We are located in Orange County near Anaheim, Orange, Fullerton, Irvine, and Cypress.